When you experience tooth loss, you may feel as if your options are limited by your budget or time constraints – but in fact, there are many tooth replacement options available to you. Dentures, single dental implants, All-Over-Four® dental implants, and implant supported dentures are just a few methods that Dr. Darryl Burke will discuss with you during your consultation. 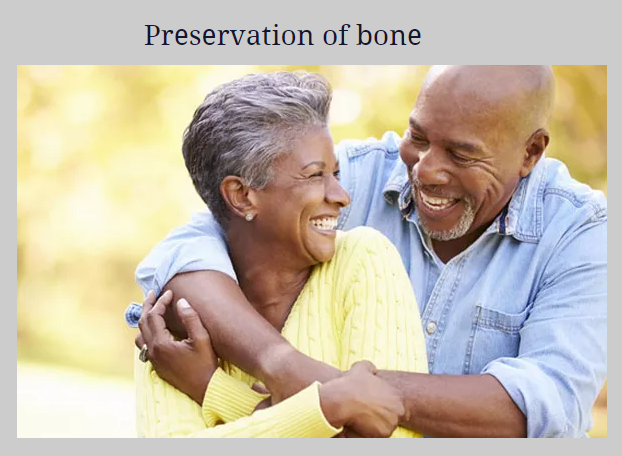 It is important to learn the benefits and risks associated with each method before making your selection because replacing missing teeth is an investment in your oral health. All-Over-Four® dental implants have become a popular solution due to their many benefits, which include: easy maintenance, no diet restrictions, permanent, secure replacement, preservation of bone levels, and reduced recovery time when compared with traditional dental implants. What are All-Over-Four dental implants? With this method, Dr. Darryl will place four titanium implants to serve as the foundation for your prosthesis. A custom prosthesis is designed to look natural and feel comfortable so that you can eat, speak, and laugh with confidence. Once the implants are placed, Dr. Darryl will attach a temporary set of teeth so that you do not have to go without teeth while your implants integrate with the existing bone. Your permanent teeth will be placed in three to six months, though you will have a brand new smile when you leave our office. An added benefit, All-Over-Four® dental implants cost less overall than traditional implants. ​To find out if you are a good candidate for All-Over-Four® dental implants in Concord, CA, contact our office to schedule a consultation. Dr. Darryl Burke will explain cost and advantages, as well as any other tooth replacement options that might be beneficial for you. Interested in learning more about All-Over-Four® dental implants cost and benefits?